I’m sure everyone has now had a chance to take a deep breath and recover from their time at the VAFHO Expo in Sale. We’ve had lots of positive feedback so I guess we must have done some things right! The VAFHO Committee is meeting on 1st June to start planning next year’s Expo – currently scheduled for Hamilton in western Victoria. We would love to get your feedback so we can include it in our planning for 2019. You can use our Contact Form to pass on your comments and remember to get it to us by Friday 1st June. If you need to send something more comprehensive, feel free to email us direct on vafhov@gmail.com. I already know what I’ll be suggesting for next year – appoint someone to take plenty of photographs! Thankfully Alan Phillips from Unlock the Past took some and kindly provided them to me for this blog! 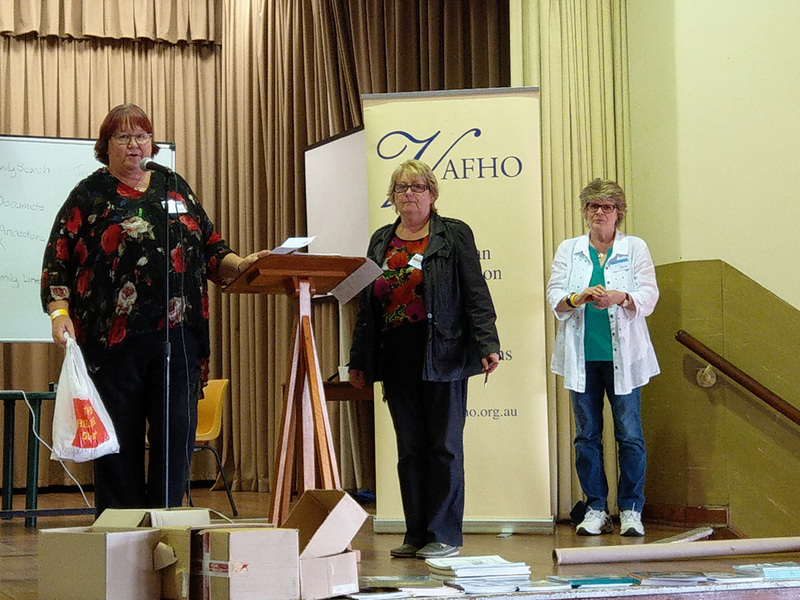 The image on the right shows Jan Parker, VAFHO President [left], presenting one of the major prizes from Unlock the Past to Barbara Hawkins from the Port Phillip Pioneers [centre]. And most importantly all of those people who came to the Expo and made it such a success. Previous Are you going to miss out? 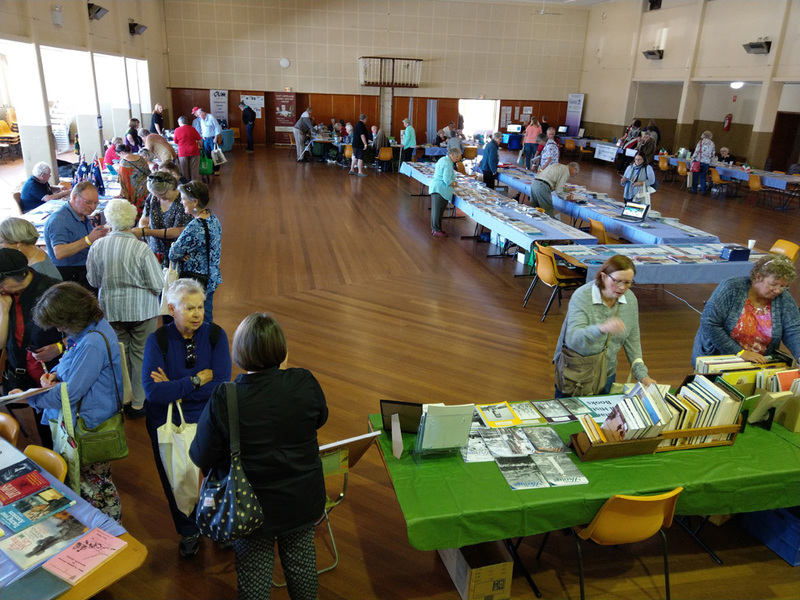 A very enjoyable Expo a big thank you to Joan for her warm welcome, to the VAFHO Committee for organising such a great Expo. The Venue was terrific plenty of room provided to us or our display. We appreciated the refreshments provided all in all it was a wonderful day of Family History. Thank you all very much.